Posted on May 9, 2018 at 10:41 am. Mohegan Gaming and Entertainment (MGE) now has full ownership of Project Inspire. The US casino operator announced last week that it had reached an amicable buyout agreement with its South Korean partner, believed to be chemicals manufacturer KCC Corp.
Analysts are of the opinion that MGE purchased KCC’s 24.5 per cent share in Project Inspire due to a deal between both companies and the Incheon International Airport Corp (IIAC). 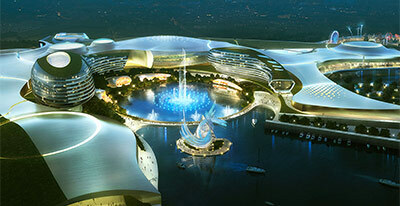 The trio of MGE, IIAC and KCC had earlier formed a consortium to construct the Inspire Integrated Resort, which is expected to be completed within the next four years. and a 20,000 square-meter casino with 250 gaming tables and 1,500 slot machines. MGE has been in the American casino and gambling business for decades, with operations in Connecticut, Pennsylvania, Louisiana, New Jersey and the State of Washington. Project Inspire is Mohegan’s first venture outside the US. The company posted net revenue of $332 million for the first quarter of 2018, down from $336.8 million during the same phase last year. The casino operator blamed the reduced revenue on increased gaming taxes, weather problems and a combination of other fiscal issues.